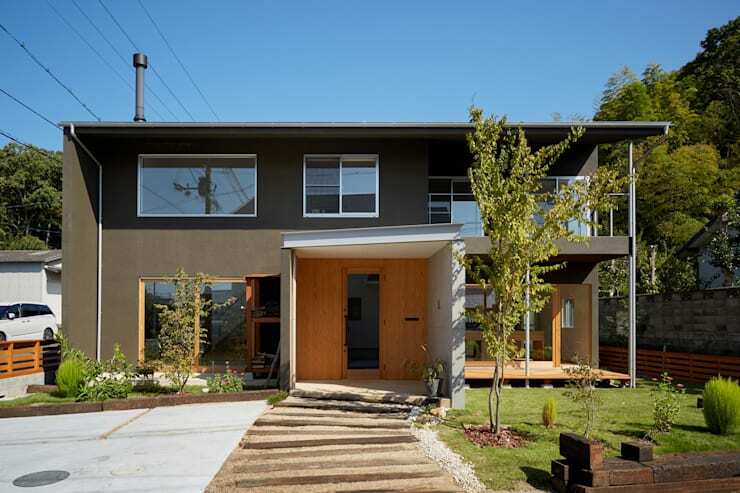 Occupying a space of no more than 93 square metres, the unassuming Japanese home featured today is a lesson in understated elegance and simplicity. 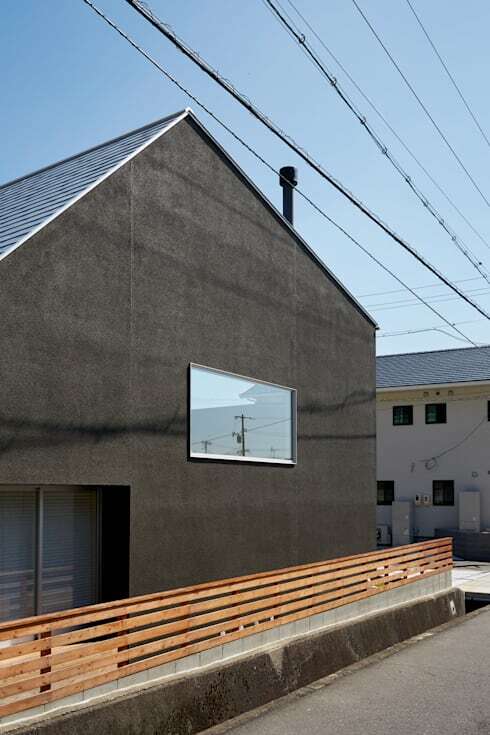 A decidedly minimal space, the house is a fresh approach to Japanese design aesthetics. Built over two storeys, the architects have managed to make the most of extremely limited space. There are no flashes of colour or intricate design patterns here; instead, the charm of the house is in its pared-down simplicity. With no unnecessary distractions, you are able to focus on and appreciate the few things that are there. Although modern in appearance, the house appears warm and inviting—this is mostly due to the Asian-inspired courtyard and the soothing colour palette used inside. If you're working with a limited budget, but don't want to compromise on style and design, this home is sure to inspire! 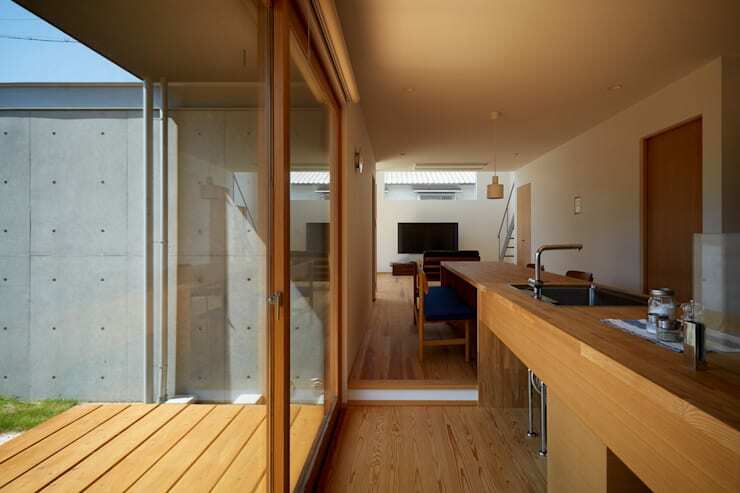 Like most Japanese-inspired design, there is a clear demarcation between the outside and the inside. Here, a space has been cleared for a pathway that by using raw materials such as aged wood and pebbles strikes a balance with the stark facade of the house. To create a dramatic yet simple flourish, there's a single tall plant that naturally foregrounds the structure. By not fencing the entire perimeter of the house, the impression given is that of an open, inviting space. Check out more garden spaces here. 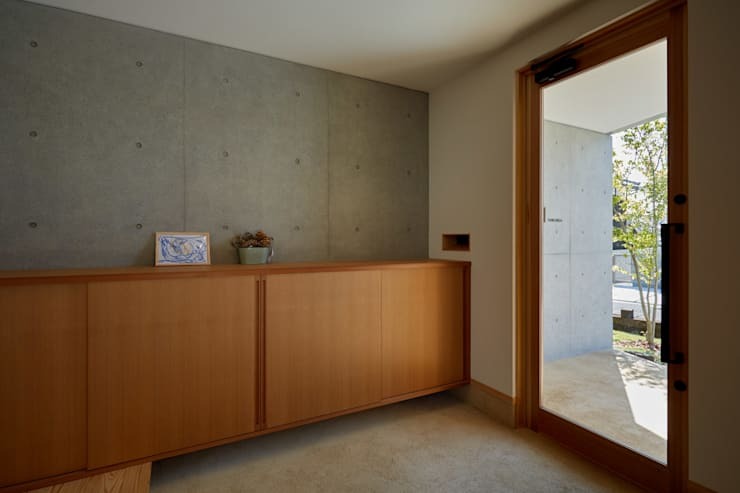 Walk in through the door, and the exposed concrete design continues in the spacious corridor. Although the minimal qualities are evident here, the architects have managed to envelop the space with surprising warmth—in part due to the wooden shelving and the glass door. The end result is a comforting lightness. It is easy to let the entryway, especially small ones, be a complete waste of space and a hotbed for clutter. To avoid that, you can build in unassuming storage spaces such as the one seen here. The brief was clear here: to create an open-plan design with views between different rooms. The end result is a bright, airy space that is aesthetically pleasing. There is no distinctive separation between the living room and the kitchen—it is designed to be one communal space where members of the family can have their own private nooks while being accessible to the others. The wooden flooring and flight of stairs strings the design together keeping it as a cohesive whole. Open-plan designs need to be well thought out; if you're having trouble designing yours, talk to our experts. Working with long, narrow spaces is often a tricky business. It is difficult to visualise what to do with the space when you see it completely stripped down. But there are design tricks that can help visually balance out spaces like these. Take the kitchen here, for example: by incorporating a long, narrow kitchen island, the area looks a lot more spacious. Additionally, the architects chose to balance out the kitchen space by placing the living room sofa and television in the same line, avoiding any impression of it being lopsided. The owners of this house have an added benefit of having a deck immediately outside their kitchen! Raw, exposed concrete has a peculiar quality: it is simple while simultaneously being visually dramatic. Here, the exposed concrete gives the whole structure an industrial edge but the design keeps it classic and traditional. Another great benefit of using concrete? Reduced costs and manpower making it an extremely viable alternative (instead of wooden frameworks) in Japan where space is a priceless commodity and consequently, in short supply. The magic of this incredibly versatile material can be also be seen in A vibrant modern home full of life. 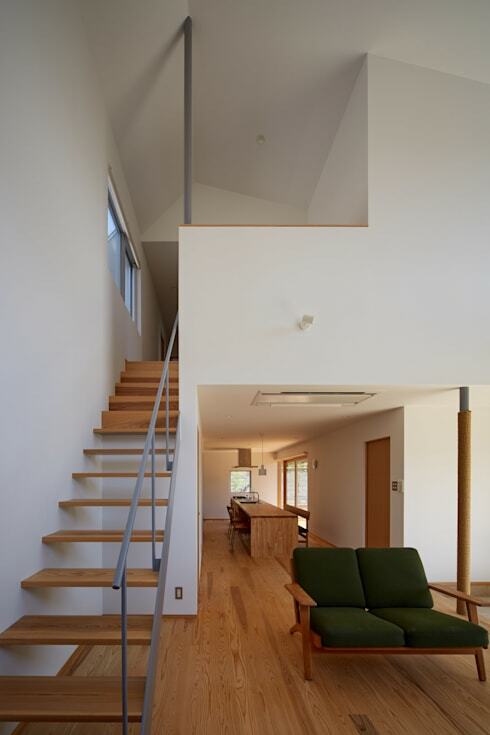 What did you think of this minimalist, Japanese home? Tell us in the comments below!